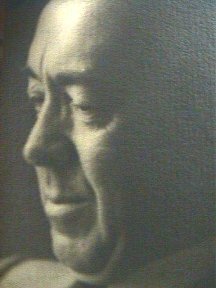 Edgar Rice Burroughs was kind, gentle, patient, and extremely devoted to his family. He shunned the limelight, seemed unimpressed with his fame and popularity, and never boasted about it at any time. He enjoyed writing, and was happy in in his profession, which proved very profitable. He had a struggle at first as most authors do. He printed his name at the top of every page of his books, and he remarked when he started, "By the time they finish reading the story, readers will at least know who wrote it." This also helped to remind those who rejected some of his early efforts that he was doing all right in spite of them. He was the most versatile and knowledgeable person I ever met. What he did not know, he made a point to research. His book, The War Chief, depicting the pursuit and capture of Geronimo was not only researched in great depth, but it was also based on his experiences in the U.S. Cavalry. In one story, he placed a tiger in Africa, though there are no tigers there. He never heard the end of that, and was always embarrassed about it. He joked about it, but made it a point never to have such a thing happen again. He liked to write in longhand when he first started. His first Tarzan story was hand-written; the manuscript is still in the family's possession. Later he used the typewriter and, toward the end of his career, the dictaphone. Joan was his biggest fan from her childhood. She memorized many passages from Tarzan of the Apes and could quote them up to the end of her life. In the radio serial we did together, she would not let anything get by that was not just like the book and the way she knew her father wanted it. She was a real technical director. He wrote most of his stories at home. The following newspaper article points out that not all of his stories sold immediately. "SIDELIGHTEM - First thing out of the mailing today was a prime candidate for "The Letters I Wish I Had Never Written" department. It's a xerox of an actual letter, written by Rand McNally & Co., Editorial Rooms, Chicago, HI., dated Aug. 20, 1913. It was addressed to Mr. Edgar Rice Burroughs, 2008 Park Ave., Chicago, Ill.
"We have given the work careful consideration and, while interesting, we find it does not fit in with our plans for the present year. Thanking you for submitting the story to us, we are Yours very truly, Rand McNally & Co."
When the children were little, they ran around the house making a lot of noise, but it didn't bother him a bit. He worked right through it all and when he had any time off, he spent it with his family. The children had private tutors at the ranch. They didn't go to public schools until they were well along in grammar school. The Burroughs family never seemed to realize how famous he was. He was just "papa" to them - an ordinary loving father. He never sought publicity. In fact, he never bought advertising or hired a press agent. He shunned the spotlight and was ill at ease as an honored guest or doing any sort of public speaking. though he was good at it. Although Mr. Burroughs was legend and world famous, he did have a few peculiarities. For instance, he had terrible nightmares. He would yell and scream almost nightly. Mrs. Burroughs jokingly remarked many times, "I am sure Ed got most of his plots from these horrible nightmares and dreams." I experienced one of these outbursts. He was spending the night with Joan and me in Sherman Oaks. Even though he chuckled at Emma's (Mrs. Burroughs) accusations, he never once hinted that he developed a great reservoir of ideas from these dreams. Another quirk he had was that he always kept a Colt 45 under his pillow. Also he carried it - with a permit to do so of course - in his car. It was ever-present in a holster strapped to his side, when he rode over his ranch. Again Mrs. Burroughs would kid him, saying, "Ed's afraid he will meet up with one of the horrible monsters he writes about." He was a major in the militia in Oak Park, Illinois, during World War I while I was at nearby Fort Sheridan. Part of our officer's training personnel and several companies from Fort Sheridan went down to Oak Park for a big parade. I told Joan that the parade was where I first spotted her, waving at the soldiers from the curb. She was only ten, and I was eighteen. I told her I made up my mind right then that she was the one for me. It made a good apocryphal story that she loved to repeat in later years. Sometimes at night, after a day's writing, Mr. Burroughs would read to his family what he had written or let them read it. They were sort of sounding boards to see how it was going, and I guess he got a kick out of watching their reactions. Mrs. Burroughs was very story-minded and had a lot of opportunity to comment and criticize. It was this panel of experts that saved Jane from death in one of the Tarzan tales. They raised such a howl that he had to restore her. When the children were quite young, Mr. Burroughs would walk up and down the hall adjoining their rooms each night and tell them bedtime stories. They could hardly wait for his cliffhangers about "Grandpa Cazmk and His Flying Machine" or "Arrabella, the Goat. It's too bad there were no tape recorders to capture these stories for posterity. Joan was especially close to her father. He called her his "little RoBud" when she was very young, and she always remember she was "Papa's little RoBud. At one time, she had collected all the stories that he wrote. (He gave each child autographed first editions.) He once thought he might become a professional cartoonist, so he always illustrated his autographs with cartoons poking fun at himself. He was a very clever cartoonist. A few of the first editions that he autographed got away from us through loans to friends and neighbors. We managed to replace these missing books and Mr. Burroughs autographed them, but they were not first editions. It was one of Joan's greatest regrets that these precious books got away from her. The entire collection is now resting safely in a fireproof vault in a storage company, along with memorabilia we hope someday to see in a museum along with the collections of the Burroughs' family. He did everthing he could to help me get a foothold. He gave us a lot to build our home in Sherman Oaks. He gave me the rights to a Tarzan story that would have made me a star, but we became enmeshed in a long, legal battle over rights that MGM had. Finally, they agreed to use me providing I could pass a satisfactory screen test for talkies. It turned out that they were putting me on. They gave me about ten pages of Shakespeare to memorize in two days Neither Mr. Burroughs nor I knew what they were up to. Needless to say, it was a terrible fiasco. I never saw the test but it must have been horrible. I mumbled, stumbled, fluffed and mutilated Shakespeare something terrible. They said I would never make an actor, and refused to let me do this Tarzan picture. They offered to buy my rights to the story for a large sum and to save Mr. Burroughs embarrassment and a long legal fight at great expense, I sold out. I think perhaps they had it in the back of their minds all along to feed me to the MGM lion Perhaps this was what prompted him to write me later about Hollywood, stating, "There are some damn swell people there, but there are also more heels to the square inch than any other place I have ever been." When I was trying to become a flying instructor in 1941 Mr. Burroughs wrote me. saying, "I am on good terms with Hap Arnold, top general in the Army Air Force. I think Arnold can help you if your age is held against you." Though I did all right by myself, I was grateful for his interest. When the war ended and he came back to live in the Valley as a semi-invalid, Joan visited him daily. He often said, "Joan understands me and loves me dearly. I would rather have her near me than anyone I know." He was a wrestling fan and TV, then in its infancy, featured lots of wrestling. He knew how phony the matches were, but he got a big kick out of watching Baron Leonie, Gorgeous George, and the other actors ham it up. Watching the matches with Mr. Burroughs on TV made a fan out of Joan. We attended many matches at the arena. Other sports interested him somewhat, especially baseball, but I never saw him attend any games. He also liked boxing, so the whole family often attended amateur fights in nearby Reseda. Occasionally, we were splat-tered with blood since the arena was small and the front row seats were practically in the ring. He had no religious affiliation, and none of the family ever attended church to my knowledge. Joan was interested in Christian Science, mostly to bolster me, but she did think it was doing a lot of people good. She always attended church with me and was happy to have the children take Bible study in Sunday School to round out their education. Mr. Burroughs was an agnostic, I believe, and unlike W. C. Fields, did not turn to the Bible toward the end of his life. A friend asked him, "What are you doing with the Bible, Ed?" "Looking for a loophole," was his reply. He did not believe in funerals. He requested no services and cremation. His wishes were granted. He requested his ashes rest beneath his favorite, very old oak tree, location of which is known only to his family. Politically, Mr. Burroughs was a staunch Republican like his father. He once quipped that his father said to him, "I would rather see you dead than vote Democratic." After Joan and I were married, she registered Democratic because I was a Democrat as were all my family. She felt that was the proper thing for a wife to do. Family harmony at all costs. She became an F.D.R. booster. Mr. Burroughs jokingly remarked after she registered Democratic, "You will live to regret it." When she could not get back into her home after she returned to the San Fernando Valley from Nogales, due to wartime regulations and red tape, she became furious at the Democrats and Mr. Roosevelt and immediately registered Republican. This made her Dad, Mr. Burroughs, quite happy and gave him a chance to say, "I told you so." I became an Independent, and still am. There are millions of Burroughs fans throughout the world, and they hold an annual convention to pay homage to him. Joan and I were guests of honor at one of these sessions in Chicago. We were presented with a beautiful silver trophy, engraved James H. Pierce and Joan Burroughs Pierce, Guests of Honor, the Burroughs Bibliophiles, September 5, 1965. I value it very highly. Many fan magazines were published reviewing his writings and life. Book sales in America and overseas, in many languages, even Braille, are greater today than ever before. Merchandising and licensing for comic books, model kits, and product endorsements is a great business still. The centennial of Mr. Burroughs' birth in 1975 saw the publication of a definitive biography by Irwin Porges, and new paperback editions of his science fiction books, a film version of The Land That Time Forgot, and proclamations of Edgar Rice Burroughs Day by many governors and mayors of cities throughout the United States. For a man who once had to pawn his wife's jewels and half sole the family shoes, and who jotted down his first story idea on his lunch bag, this was an extraordinary tribute. He once remarked to me, "I was a night detective in the railroad yards of Salt Lake City and read some stories in the old dime novels. I said to myself, "If those birds can get paid for stories like that, I'm going to take a crack at writing, myself." He did and the rest is history. It seems that each new generation takes to these wonderful stories and carries on the Tarzan legend. An illustrative story concerns Supreme Court Justice William 0. Douglas. He was deep in the jungles of Africa on a safari when he saw a native trotting down the road. Douglas asked the guides to find out where this fellow was going. In their native language they asked him. He replied in Swahili, "I am going into the village to see a Tarzan picture." (The village was miles away.) Even in Africa, Tarzan has avid fans. This Joan and I discovered when we received many fan letters from there when the radio program was playing in that country. We always have answered all our fan mail and sent autographed pictures when requested. This was a labor of love, let me tell you. We received hundreds of letters. I still get letters from grandchildren of fans that I corresponded with in the '30s. The stories of Mr. Burroughs' imagination are actually coming true today in the 1970s. His Martian, Moon, and outer planets tales are not strictly fiction anymore. He had space ships, rockets, and all the hardware used today in flitting all around in outer space; examples: the moon shots and Viking I & II. The centennial celebration of his birth, September 1, 1875, held in Los Angeles on the week of that date, was attended by press, radio, television and science fiction fans by the hundreds. They came from all over the world. It seems a shame that he is not here to see what an impact he made on the world. Tarzan, John Carter of Mars, the Princess of Mars, Carson of Venus, The Moon Maid, and many other inhabitants of the planets seem to be eternal. He once quipped, "If there is another life after this, I would rather spend it on Mars than any place I can think of." Tarzan, in the last few years, has experienced a tremendous surge of interest. Also stories from the other worlds of Mr. Burroughs' writings. For instance, June 9, 1976, At the Earth's Core was previewed, and is soon to be released. The Land That Time Forgot was released in 1975, and had tremendous success at the box office, and 1977 will see the release of its sequel, The People That Time Forgot. The space explorations and the Martian excitement recently has awakened the public to these stories that were written fifty or sixty years ago. Mr. Burroughs was one of the most versatile and prolific writers ever to appear on the world scene. He wrote over a hundred stories. Tarzan was the best known of his characters, but his Martian, Venus, Inner earth, Indian, Western, Mystery, and other subjects were very popular. Ray Bradbury, a very great science fiction writer in his own right, said that Burroughs set the stage and influenced many youths to become space scientists. Had it not been for Edgar Rice Burroughs, we would never have had a man on the moon or the Martian and other outer-space programs. In spite of all Mr. Burroughs' tremendous success, his private life headed into rough seas. Just at the time when he should be relaxing and enjoying what all that had gone before had made possible, a situation in 1933 climaxed something that had been brewing for many years in the relationship between Mr. and Mrs. Burroughs. All through the years from the time the Burroughs family settled permanently in the San Fernando Valley, Emma had developed a drinking problem. They had a beautiful home and a lot of friends, and entertained lavishly the high society people of Los Angeles, and especially the Hollywood stars and executives. Tarzan pictures were becoming very successful and popular. Huge parties were the vogue and Mr. and Mrs. Burroughs were invited to many of them. As Tarzan's fame spread, so did Mr. Burroughs' popularity. He became personal friends with most of the big named stars and producers. Consequently, many huge parties were given at the Burroughs' ranch to reciprocate for the many invitations they were constantly accepting. Gradually Emma became unable to handle the drinking and developed an uncontrollable problem. After a party, she would continue to drink for days which was causing Mr. Burroughs embarrassment and led to many unpleasant scenes before the children and servants. Occasionally, Emma would lay off drinking for days and sometimes, weeks. During these periods, she was again a wonderful wife and mother. However, these compulsive sprees would overtake her and she would be off again. Joan was a little girl of twelve or so years during this period. Because of the drinking, Emma had not learned to drive. The family chauffeur took her everywhere. Mr. Burroughs gave strict orders for Joan to accompany her mother and the chauffeur on all shopping trips or whatever. The children had a private teacher that held school in a room over the ballroom, built for that purpose, so she was always available for the trips. She made up her classwork as was necessary. Joan was told by her father not to let Emma out of her sight, no matter where she went. Emma would often get started drinking during a hair-dressing session or with the sales person in a department store that she always dealt with. During fitting sessions and hairdressing operations, Emma would be out of Joan's sight. Joan would wait in the outer rooms and when Emma came out, she would be unable to navigate without help from Joan. Sometimes Joan would have to go to the parking lot to get assistance from the chauffeur. One of these saleswomen of a big fashionable department store would plan parties for customers in a hotel where she lived and have Emma as a guest, who would also foot the tab. Joan would stay with her Mama on these occasions as she was told to do, but she could not stop her from drinking. Joan suffered humiliation and trauma from these sessions. She would break into hysterics at times, and yell and scream at these hustlers and freeloaders until they would break up the party. Emma sometimes passed out cold and Joan would have to get the bellboy to bring the chauffeur to her aid. All of this caused Mr. Burroughs great anguish when Emma was carried into the home. Then, of course, when Emma sobered up, after a day or so, she and Mr. Burroughs quarreled hot and heavy. This situation went on until 1926 when Mr. Burroughs met Florence Dearholt, a close friend of Joan's, even though she was much older than Joan. He was a pushover at this period for a change of pace from the Emma problem and began playing patty-cake with Florence. It became evident soon that Florence was using Joan as an opportunity to get close to Mr. Burroughs. Joan was blind to the plan on Florence's part, and therefore, was unsuspecting. Since Florence posed as her best friend, Joan could not imagine that she was being used - but good. 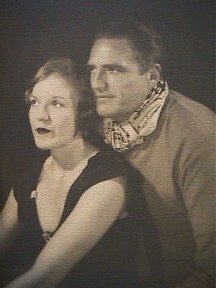 Florence also promoted her husband, Ashton Dearholt, into a position of producer and general manager of a company he talked Mr. Burroughs into letting him organize. It was called Burroughs-Tarzan Enterprises. They set up offices under this name, and launched their first enterprise, a Tarzan picture with Herman Brix, an Olympic champion shot putter with a beautiful build. He later changed his name to Bruce Bennett. The company went to Guatemala on location and had a hell of a time finishing the picture. It took weeks and weeks over the schedule. They wound up with a colossal turkey and lost their shirts. To this day, no one knows where all the money went. It certainly did not show up in the picture. This was Mr. Burroughs' last effort as a "sugar daddy" for the Burroughs Tarzan Enterprises. Joan and Florence were still friendly as Joan had not yet caught on. Florence was still on the scene constantly. Joan, Florence, and Ed decided to take a trip to visit me on location in Flagstaff, Arizona. It was during the filming of The Life of Jesse James. Fred Thompson produced it and played Jesse James - I played Frank James, Jesse's brother. After they arrived, it did not take me long to read the picture. I saw immediately what was cooking; however, I kept my trap shut, thinking it was just a hot flash on Ed's part and that it would soon flicker out. But alas, the romance exploded and Mr. Burroughs set about arranging for a divorce from Emma. Florence also had to make the move to get unhitched from Ashton. Joan was a total wreck when she learned what had happened. She tried desperately to talk her dad out of the crazy idea - a June and January situation that was bound to come to no good end. He said to Joan, "I love her and have a right to all the happiness she can bring me." Joan replied, "Florence has two children that will live with you. They are only kids. Lee Ashton is only six and Caryl is only three. How can you go through bringing up another set of children at your age?" "My mind is made up," he replied, "Nothing can stop me now." "All I can say is that you will wish you had never seen Florence before you have to leave. It can't possibly work," was her final remark with tear-filled eyes. Joan stuck close by her mother and never set eyes on Florence again. She refused the wedding invitation and many pleas from her father to visit them and try to understand. Florence and Ed lived in Hollywood for a long time after the wedding but decided to move to Honolulu, perhaps to get away from old haunts and memories. Joan cut out a picture from the Los Angeles newspaper, showing Mr. and Mrs. Edgar Rice Burroughs, formerly Mrs. Ashton Dearholt, aboard ship just before sailing for Honolulu. Below it, she inscribed, "They look like a couple of convicts." I still have the clipping. Another paving stone for Hell I wanted to send valentines to Joan II and Mike, and here it is Valentine's Day and nothing done. What a mind! If I ever get a spare hour in town we'll. have lunch together again. I an pretty sure I can make it next Tuesday. Will you get hold of the boys and ask them! We can meet at The Berries at 1 o'clock. If that is not a good hour for you, telephone Ralph, or drop me a line addressed to Tarzana. If, for any reason, you or the boys can't make it next Tuesday, let me know in the same way. I won't have to know until I reach the office Tuesday morning. I hope you are all well and that none of you drowned. Didn't it rain! We were up Wednesday and drove back Thursday; and it rained nearly all the time, although it was perfactly clear here when we left and was not raining when we got back. I'll be glad when it warms up here. The doctor told me sun baths would be good for me, but I've had only one since I got back. I'm getting back into shape slowly. I can see much physical improvement and some mental. I have been absorbing for so many years that my thinking apparatus was affected, and it never was any too good. The doctor says it will come back 100%. I hope he is right. At 100% I may even have sense enough to come in out of the rain - who knows! Lots of love to you all. Am looking forward to seeing you Tuesday. I'd like to have Jim come, if he cares to. Florence has asked me to ask you if you will come to dinner next Wednesday, and, if possible, come early in the afternoon to swim. Will you please call her and let her taow. The telephone number is CRestview 1-9145. I am so sorry that you can't come Wednesday, and I know that Florence will be when I tell her. I can understand, though, how difficult it is for you to get away and leave the children. Sorry that I was not at the office when you came. I am working at home now because I seem to be able to accomplish more there, and save the time of driving back and forth. Am certainly anxious to see you. I hope that we can get together soon. Am glad you like BACK TO THE STONE AGE, and that you think CARSON OF VENUS starts out well. I hoped that you children would read it when I sent it over. I don't know what sort of reaction Lesser is going to get from Eleanor Holm. He tells me that he took the matter up with the Motion Picture Producers Association, or whatever they call it, and with the P.T.A., and that their reaction was favorable. Wish I might see you oftener. I was sorry to learn from your letter that Mike has mumps. I certainly hope that the rest of you don't contract them. In the matter of the Tarzan Clan music. Ralph now vaguely recollects that it was in a large envelope with Schermer's name on it and that it might have been in the Spanish cabinet that stood in my office, and which your Mother came over and took, with some other things, while I was away. We thought it barely possible that the contents of the cabinet might not have been removed and that the music is still in it. I wonder if you would be good enough to look the next time you are at Bel-Air, and see if you can find it. I also recollect that there were quite a number of my photographs in this drawer, and they may still be there. If they are, will you return them to me. After a year or so in Honolulu, the marriage began to hit the rocks. The two children he had acquired by the marriage got on his nerves, and Florence gradually became estranged. The whole impossible arrangement had run its course. They became bitter and irritated each other unbearably. 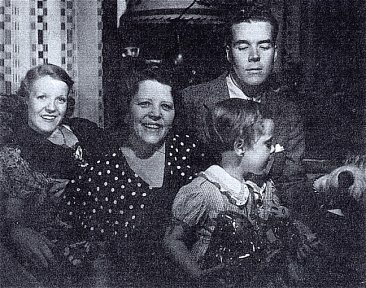 On March 14, 1941, Florence and the two children sailed for Los Angeles without Ed. A divorce was arranged and a settlement was made. Florence was to get $1,000 per month until she remarried, plus costs and lawyer fees. This was a pretty good settlement as far as Ed was concerned compared to today's prices for severing ties. In a year or so, Florence remarried, and Ed was off the hook. Mr. Burroughs came home for a while after it was all settled, but was not comfortable here and returned to Honolulu to live by himself. In a few months, his health began to fail, and Hulbert went to Honolulu to live with him until he recovered. Joan was never estranged from her father and they corresponded regularly. He never held it against Joan for not accepting Florence. Jack and Hulbert visited them occasionally. He still loved Joan dearly and wrote many beautiful letters to her after he returned to Honolulu. That was his custom all through his life - to write regularly to Joan. I have letters left by Joan that she had saved that went all the way back to her child-hood. There are over two hundred of them. Soon after Pearl Harbor, Hulbert joined the Air Force, and Mr. Burroughs was appointed a War Correspondent for United Press at the age of sixty-seven, the oldest accredited correspondent in the Pacific Theatre. Hulbert went on to become a Major and attained a splendid record in the photographic section of the Air Force. He had many "hairy" experiences photographing under fire all over the South Pacific. Mr. Burroughs traveled all over the Battle Zone by plane and battleship, reporting his experiences. He made it a habit to interview GI's and send the interview to their home town papers so their parents would be able to read about where they were and what they were doing. He met many of the high-ranking officers and was always given the VIP treatment. He also had many hair-raising experiences under battle conditions. He was on a ship that was attacked by a Kamikaze. He was rather old for the rigorous action, climbing ship's ladders, jumping into landing boats, and living the stress and strain of battle. He held up on sheer guts because he felt it was his way to do his part in the war effort. Mr. Burroughs corresponded regularly with Mike. He has all the letters and is very proud of them and his famous grandfather. Although as a youngster he did not stand in awe of Mr. Burroughs, he was just Grandpa Ed to him. the following is a letter depicting Mr. Burroughs' interest in his grandchildren; not only Mike, but all five of them. At the end of the war, he was seventy and was invalided at home with a heart condition. The old Tarzana Ranch was sold and became a golf course and country club. Only the Burroughs' office on Ventura Boulevard still remains. His three children had homes and families of their own in neighboring communities. He found a suitable home in Encino, on the last street next to Tarzana, Zelza Avenue. His backyard bordered on the Tarzana city line. Here Mr. Burroughs published three more books and lived out his remaining years as a semi-invalid with a Japanese couple taking care of him. He was reading the Sunday comics in bed right after breakfast when he died. His marvelous sense of humor ever present to the very end. He simply nodded and fell asleep. His passing was not only a sad blow to his children, relatives, and friends, but it sent a shock-wave through-out the world that saddened his millions of fans. The event had tremendous press, radio, and television coverage. His Tarzana headquarters and his children received hundreds of letters and cards of sympathy. On his last visit to our home after he returned from Honolulu, he remarked in my presence, "Joan darling, you were so right when you told me I was making a mistake in marrying Florence. I have often regretted that I did not heed your advice." Joan, Mrs. Emma Burroughs (Joan's mother), Hulbert, and Joanne, my daughter, with "Tarzan", old English Sheep Dog.